Books and other publications always make great gifts. There are many options for the outdoor enthusiast or for someone you want to encourage to spend more time outdoors. Picture books depicting nature, especially those about animals are good for young children. You can find books on a particular animal or group of animals or about camping or other outdoor activities in the non-fiction section. Chapter books about surviving in the wild can foster an enthusiasm to get outside and explore. Memoirs or biographies about explorers can give a glimpse into the outdoor world and our relationship with it. Guide books can be found to cover any outdoor pursuit you can imagine. 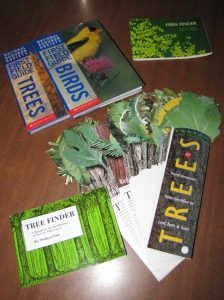 There are numerous titles for readers of all ages to help you identify animals, birds, flowers and trees, often grouped by geographical area. These books can be large volumes to peruse at home or small pocket-size books to take with you. 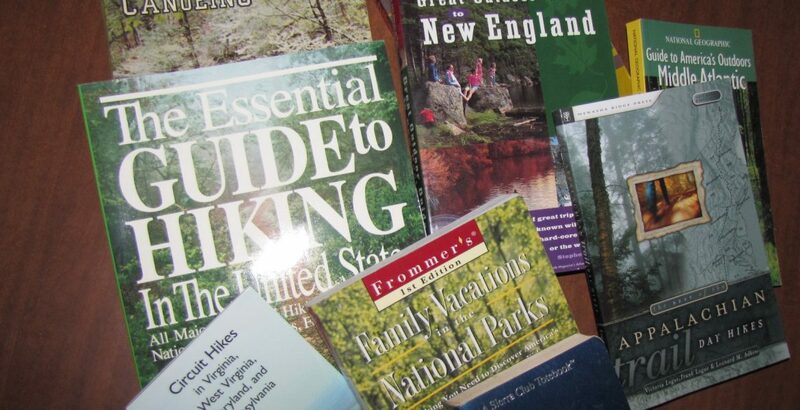 Hiking books can help prepare you for a long trip, advising you what to bring with you and what to expect. 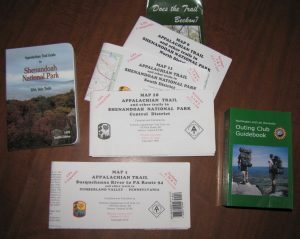 With thousands of hiking trails throughout the country, these books can provide not only maps of the trails, but also helpful tips on how to get to them (some trailheads are not well marked), what the terrain is like and how long you can expect it to take to get from Point A to Point B. Books can cover a state, a region, or even simply a park. 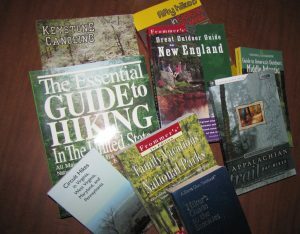 The content can vary and trail ratings are sometimes subjective (many books include an explanation of the ratings and even break them down into things such as altitude change, trail conditions, scenery, and solitude) but can provide valuable information to help you decide which trail to hike. Books about paddling also cover basic information and offer suggestions for waterways depending on the watercraft. These may be specific to the boat (canoe, sit-on-top or sit-in kayak) or include the waterways in a particular area. In some ways, these may be more valuable than a hiking guide as some waterways are simply not suited for some type of watercraft. Having some familiarity with the water enables you to better plan what to wear and bring with you. Camping books can be very basic, covering what you need to bring and how to use equipment and more specific, covering backcountry camping, or camping via bike or boat. Some books provide lists of campgrounds, often with ratings, generally limited to a specific area. Cookbooks dedicated to camping or backpacking are useful gifts for those who plan to eat outdoors. While you can cook just about anything while camping that you can cook in your kitchen at home, the planning and execution of these tasks may differ. These books provide tips on how to make the food taste just as good (and sometimes better) cooking over an open fire or in an oven you create yourself. Trail guides (hiking, paddling) and maps are an essential item to have with you, especially on a trip lasting more than a couple hours. Some maps are provided free of charge at parks but do not include the detail of the ones sold in park stores, outdoor outfitters or online. 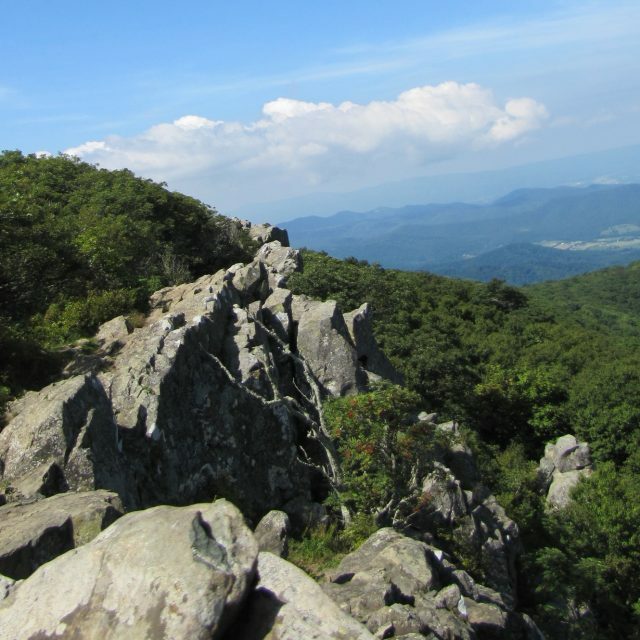 Many trails are maintained by local hiking clubs who know the trails well. In some cases, these clubs publish and sell trail maps. Purchasing these not only means you can find your way around, it also supports the groups who help make the trails available for public use. Waterways are also looked after by local groups who arrange volunteers to keep the area clean and clear debris from creeks after storms. They sometimes have maps as well (these can help you navigate in areas with multiple forks and also warn you of areas of low water and/or rapids). 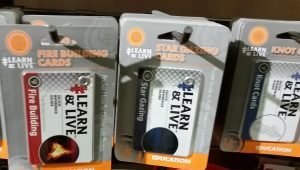 While not as detailed as a book, there are also cards available that provide information about outdoor activities. These often come in sets of a few cards, up to a deck, with instructions on how to start a fire or tie a knot, or identify animal tracks, etc. Magazine subscriptions also make great gifts. There are general outdoor magazines as well as those specific to an activity (like biking, camping, backpacking, paddling, climbing) or even an area of the country or your state. Regional publications can provide updated information on local activities and news that the national pubs don’t cover. Magazines have the added benefit of being a new gift throughout the year.